This is more of an upscale open-air restaurant rather than a sidewalk vendor, and the food here is fantastic. We asked the lady behind the counter to make the kee mao in the traditional way, and it was loaded with extremely hot chile peppers. This dish will make you sweat, there's no doubt about that. 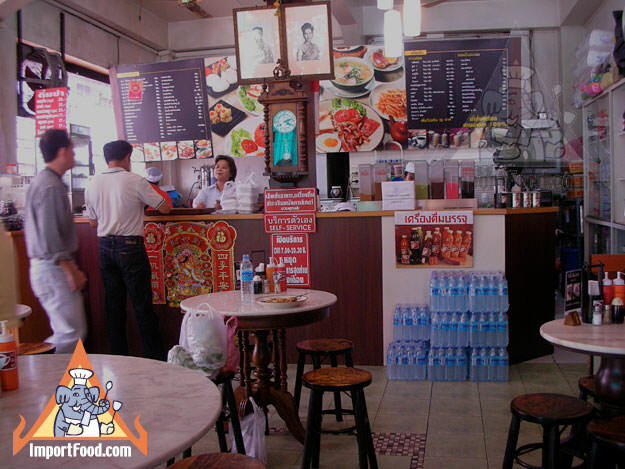 Fortunately there's a huge selection of iced coffees, teas, and soft drinks to help with the heat of the food. 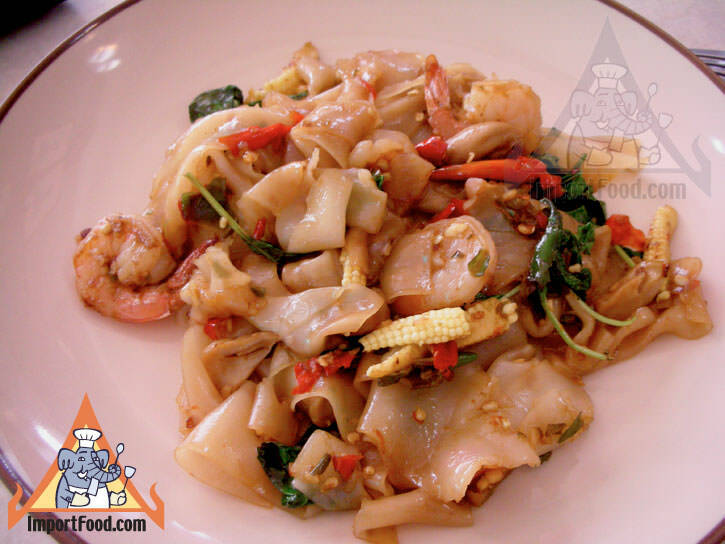 We have several recipes for kee mao including pad kee mao similar to what's made here, squid kee mao, gai pad kee mao, and neua pad kee mao.